It is not known whether the present Biggin Hall stands upon an ancient site or earlier foundations and this requires a careful survey. 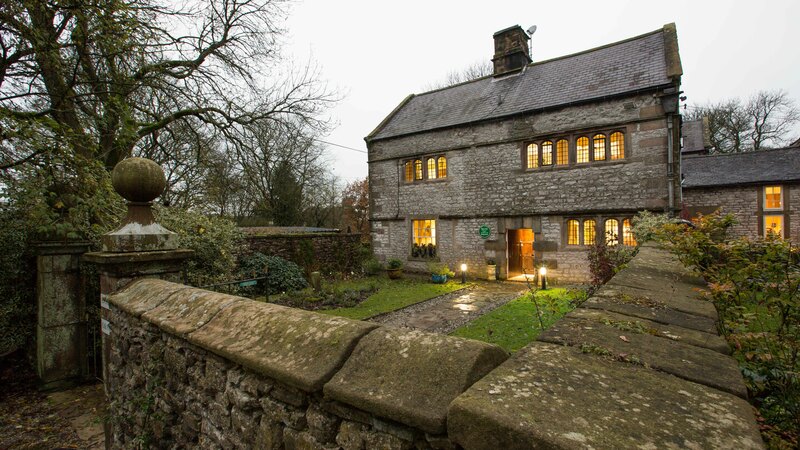 The general style of the house conforms to a local tradition of Derbyshire manor-house which was common from Tudor times and which resembles in its forms and techniques the familiar Cotswold structures of the same period but with more massive aspect due to the local climate and the use of gritstone walling and ponderous stone slates for roofing instead of the more usual, smaller, Colley-Weston type. The rustication around the doorway is perhaps more typical of the Mannerist style of the early Stuart period which may be seen at its most florid in the ‘New Range’ at Bolsover Castle. The roof does not appear to be original but of 19th Century imported slates and it is very probable that the main house has undergone repeated refurbishments over the centuries. It would make an interesting historical study.